Symptoms That Show You are Over-Consuming Sugar! If you add only one spoon of sugar in your morning cup of tea, you need to evaluate how much sugar you consume after that. Unknowingly, we have sugar cravings throughout the day and we gobble a lot of sweets, chocolates, pastries, muffins, and the last bite of ice-cream! So, sugar in tea does not really count your sugar intake throughout the day. Most of us have a sweet tooth and are crazy about sweet food such as coffees, muffins, ice-creams, pastries that are high sugary foods. We say that we will just have one bite and don’t reflect on how much we are actually eating the whole day. Though we neglect our sugar consumption, our body does not ignore its impact. It starts sending signals to our mind and displaying the negative effects. Sugar develops an addiction amongst children and adults alike. When you have one pastry, it does not satisfy your hunger but makes you crave for more sugar. Lets see what are the signs that you need to identify to keep control on Over Consuming Sugar. Health care experts and dietitians have been constantly stating that refined products such as sugar are harmful for the body. According to medical research, a human body has the capacity of metabolising only six teaspoons of sugar in a day. When we consume more than six teaspoons of sugar, it turns into fat and deposits in our body. As we mentioned, our body starts reflecting when we consume excessive sugar. We can understand by the following symptoms whether we are eating too much sugar or not. A person may even experience more than one symptoms from the given list. You need to observe these symptoms in yourself, monitor your sugar intake and modify it immediately to maintain a healthy body and a sound mind. Yes, that is the first sign of over-eating sugar. You had sugar and you want more sugar. Sugar creates an addiction for more sweet. Let us check how it happens. When you eat a sweet or a chocolate, your taste buds get satisfied. Your body reaches to a happy and exhilarating state. In short, you have a nice feeling after eating sweet and you want the feeling to continue or remain as it is. This results in asking for more sugar. The body demands more sugar to the taste buds and we keep eating more chocolate or another piece of cake. Fatigue can be physical or mental. When we eat sugar, we are eating nothing. Those are just empty calories that do not provide nourishment or nutrients to your body. In the beginning, you feel that your energy and enthusiasm has been boosted by eating sugar. However, after some time, it crashes and you tend to become less active and are left with no energy. You may even feel weak or fatigued, mentally as well as physically. Yes, more sugar can again restore that energy in your body but it will only result in demanding quick energy boosters every now and then. A layer of fat on your belly, hips, or thighs reflect that you are consuming excess sugar. This is because these areas collect excess fat. Sugar is nothing but zero nutrient food. It gets converted into fats and gets deposited in these body areas. Not only these fat deposits will make you inactive, but it will also decrease the metabolic activity in your body. Your body organs such as pancreas have to work extra for absorbing those excessive blood sugar levels. As a result, the sugar gets accumulated in the body. This results in heavy weight gain and related disorders such as diabetes and digestive problems in the future. When we were kids, we were often scolded not to eat chocolates as it will cause cavities. It is absolutely true! Sugar results in teeth cavities, gum diseases, discoloration of teeth, plaque, bad breath, etc. Hence, even if you are following regular dental regime and check-ups, these teeth problems will definitely emerge by consuming excessive sugar. Sugar-based foods hamper the capacities of our bodies to handle food. When your sugar consumption leads to a crash, your body, as well as the mind, reacts in a different way. Your mind also becomes unstable, leaving you frustrated or irritated or even angry for no particular reason. Hence, if you always have mood swings or emotional ups and downs, then it means you are eating up too much sugar. It does not mean complete memory loss. You will be remembering your name and all significant details. In this case, we refer that excessive sugar consumption results in cognitive impairment. The rapid crash can interfere with the brain’s functioning to recollect things and react accordingly. If you are forgetting simple things or names or events, then this might be due to over-consumption of sugar. Let’s see aloe vera benefits for overall health! One of the major reasons of depression is improper diet. If the diet regime lacks important nutrients, fiber, and comprised of excessive sugar, salt and processed foods, then that person may feel depressed or low. When a depressed person consumes sugar, he will energetic and happy. But when the sugar level goes down, he will feel stressed and depressed and need sugary foods to fill his emotional desires. High intake of sugar causes swelling in the brain of such depressed people. Similarly, during a rapid crash, people may feel stressed out as the body produces less energy. Excessive intake of sugar causes severe damage to the immune system of the body. Our body requires nutritious and healthy food as well as a certain level of physical activity to remain fit and fight diseases. But when you consume excess sugar, your body loses its ability to fight against minor ailments and sicknesses. As a result, you become more susceptible to illnesses. Our taste buds determine and remember the tastes of different foods. When you consume excess sugar, it causes a change in your taste buds. Your taste buds don’t recollect the taste of foods you liked earlier or remembered previously. The worse situation is that your taste buds change so terribly that the foods you liked earlier start tasting bad. Your tongue’s tolerance level changes and it likes only sweet things and craves for it. Did you know that Bottle Gourd can also help you in many ways? Have a look at the amazing Health Benefits of Bottle Gourd. Sugar does not comprise of any nutrients. The sugary foods are empty calories. Even though you are consuming more and more calories through sugary foods, it is not adding to the nutritional value. You are not getting any energy or nutrients from the sugar intake. Your brain instructs you to eat more food as it craves for some more intake. Thus, high sugar foods that are consumed will not satisfy food cravings. As a result, we keep on filling more and more calories in our body. Thus, sugar is the white-coloured food that needs to be avoided in the diet. We can consume sugar content in natural foods such as fruits, dates, etc. We do not require refined sugar or sugary foods like chocolates, ice creams, doughnuts, coffees and so on. 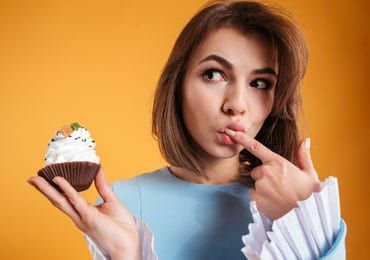 Though sugar consumption will offer you with a quick energy boost, its over-consumption will lead to endless problems in the body as well as in the brain. Hence, always try to consume sugar in minimal quantities to avoid problems in the future. Get Glowing Soft Lips with Natural Lip Balms and Softeners!